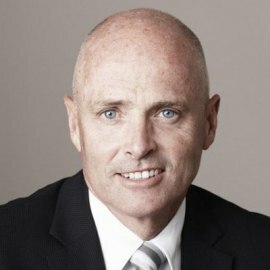 Stephen has held a variety of senior roles for Qantas during his 23 years with the airline. Stephen joined Qantas Airways Ltd in October 1994 as Regional General Manager- South Australia following 14 years with Ansett Australia. In 1996, Stephen was appointed to the position of Regional General Manager- Victoria looking after the airlines commercial interests and in 2001 was appointed to the position of Regional General Manager- South East Asia based in Singapore. This role held responsibility for both Qantas and British Airways commercial interests as part of the combined joint service agreement. Stephen then in 2004, commenced the position of Regional General Manager- UK, Ireland, Europe, Middle East and Africa, based in London. During this period, Stephen was responsible for the Commercial and Airport Operations of the airline throughout the region. Stephen returned to Sydney in 2009 and held a range of senior executive roles with responsibility for global sales, international airport operations and Qantas’ network of regional offices. Most recently, in 2016, Stephen relocated to Los Angeles to take up his current role as Senior Executive Vice President, The Americas, New Zealand, Pacific Islands & Japan where he overseas international sales, airport operations and all teams based in those regions.